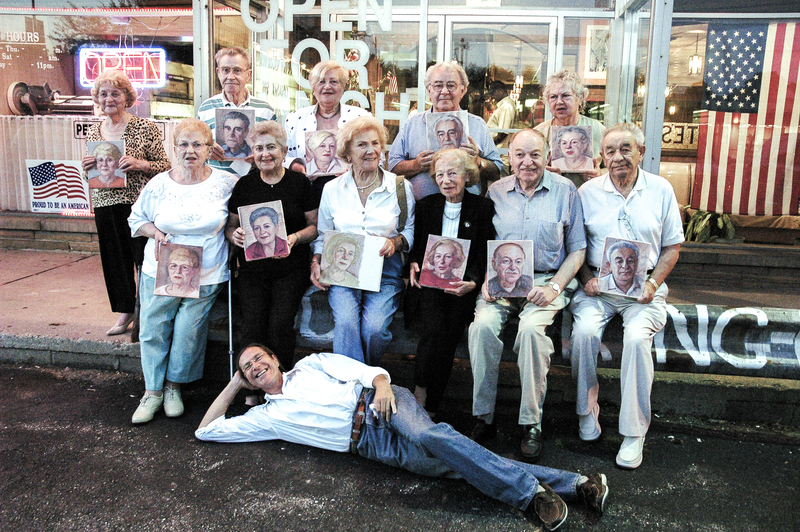 I traveled to my hometown of Milwaukee, WI, to paint portraits of Holocaust survivors. This is my heritage and these are the people I grew up with. Both of my parents were each in 6 concentration camps andsurvived the Holocaust. The people I painted are the “Greenah”, a term which refers to the newcomers to the United States. I was sponsored by the Coalition for Jewish Learning, which is the umbrella organizationfor the Holocaust Education and Resource Center of Milwaukee. I spent four weeks during the Fall of 2004 in the community, and painted 11 oil portraits from life. These portraitsbecame the property of the HERC. This project is a continuation of the portraits I painted of my parents, who are both gone, and I feel an urgency to document the remaining survivors, as each year there are fewer.